Homeowners in Islandia New York found an ally on Tuesday, one that had the power to make their lives much less stressful while also hammering out a new agreement on their overdue mortgages. On Tuesday, Citibank foreclosure prevention teams began arriving Islandia and before they were finished, there were more than 160 homeowners who’d come through the doors seeking help with their Citibank mortgages. This marked the conclusion in this area of a massive effort by the nation’s five biggest mortgage lenders, including Bank of America, Wells Fargo, Citibank, JPMorgan Chase and GMAC to help homeowners renegotiate their mortgages. The bank’s efforts to meet with customers was part of a massive $25 billion foreclosure settlement that was reached last month between federal regulators and the banks. As part of their agreement, the banks assured the courts that they would reach out to struggling homeowners not only in New Jersey, but around the nation, in a bid to keep more families in their homes via mortgage modifications. The event, held at the Islandia Marriott Long Island included hastily constructed partitioned cubicles in order to provide a sense of privacy, which allowed bank representatives and homeowners to review, discuss and renegotiate their mortgages. The details were in the financial documents, both of which the bank and the homeowners were armed with. It was an event in which more than 3,500 homeowners in the area were invited to by the bank’s mortgage division, Citibank. It’s just one of 35 such events the bank will be holding this year. Last year, it held 25 similar events, though they didn’t get underway until later in 2011. So who are these homeowners? Robert Cusman, senior director of customer management at Citibank, says they’re normal people who have “hit some kind of financial challenge”. He says they either had job changes or their hours were reduced in a struggling economy or they could have been hit with medical emergencies or other similar life events. 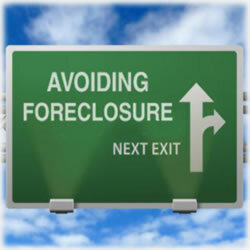 The economy only added to their distress and before long, they realized there existed the real possibility of going into foreclosure. Some of the customers had been paying on their mortgages for ten, twenty or more years – and this was the first time they found themselves in these seemingly hopeless situations. One of the attendees said her goal was to lower her monthly payments on her rental homes. Citing a lack of reliable renters who paid on time, she said her source of income was anything but reliable – again, courtesy of a struggling economy. Another attendee who owns a small maintenance and electronics installation company for boats says his business has struggled as well. His goal was to secure a modification agreement that will allow him to become current with his mortgage payments. He’s hoping the record low interest rates will allow him to not only lower his payments, but provide an opportunity to pay off credit cards and other bills. Both the bank representatives as well as the homeowners who were able to attend were pleased with the outcome of the day’s events. In the meantime, the efforts across the country continue as homeowners hope to take advantage of the opportunities, defined by a federal court and offered by a bank who has the same end goal as the homeowners move forward with purpose.